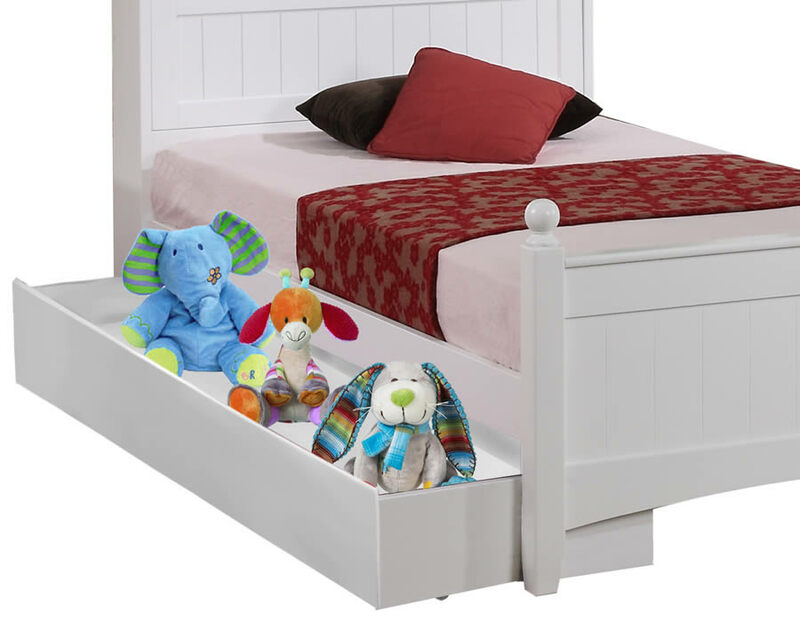 A White Underbed Storage Drawer manufactured by The Children's Furniture Company and shipped anywhere in the mainland UK is available to add to your quality furniture collection. Underbed storage provides a great variety of options for teaching children to keep their things neat and tidy. Such a drawer can be used for things like seasonal furniture and sports equipment, toys, and more. 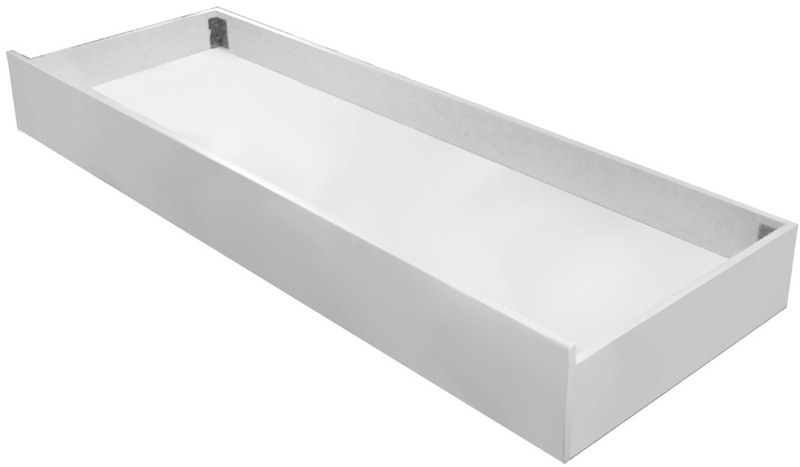 Finished in a highly durable white lacquer paint, the underbed storage drawer is easy to pull out and push back into place as needed. It also matches many of the available accessories and bed configurations. 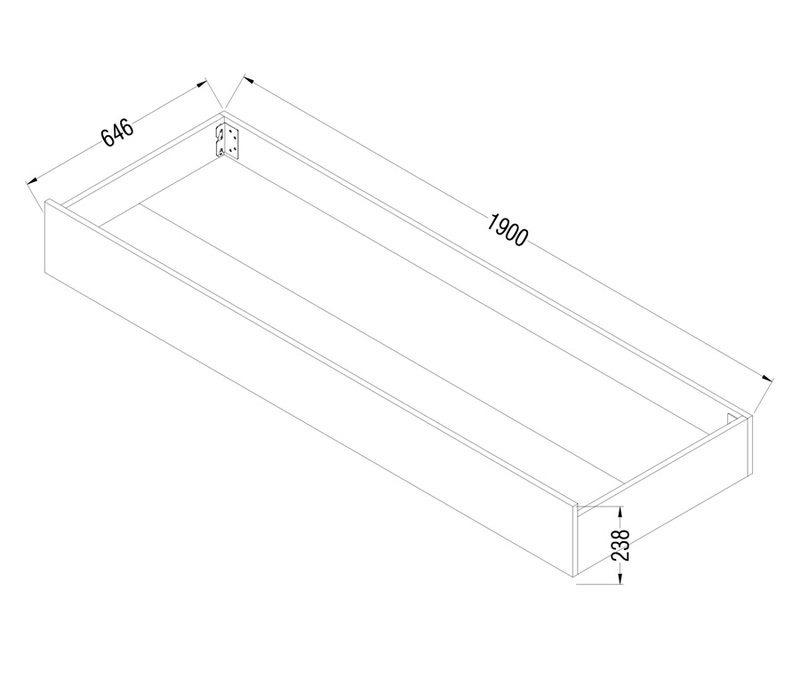 The White Underbed Storage Draw is 64.6cm wide x 23.8cm high x 190cm long. It is constructed to make pulling and pushing easy; the sides are taller than the bottom of the drawer to complete the finished look of the bed. The Children's Furniture company White Underbed Storage Drawer is handcrafted from real rubber wood, the drawer fits under any single standard bed frame. You can add a mattress if you need an occasional trundle bed, or match it with a bed frame and accessories to complete a bedroom set. Children will find it easier to stay organized when they have a place for their prized possessions.